SLS free Goats Milk Melt & Pour soap base for making your own soap - very easy to use. 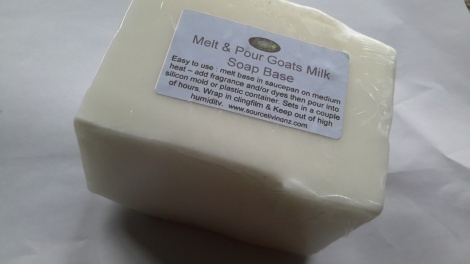 Melt then add fragrance and dyes (optional), pour into any silicon mold or bakeware, or flexible plastic container. Hardens ready for cutting withing a couple of hours.